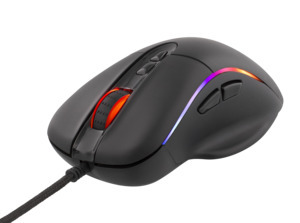 The time has come for DELTACO GAMING to present our first RGB gaming mouse. 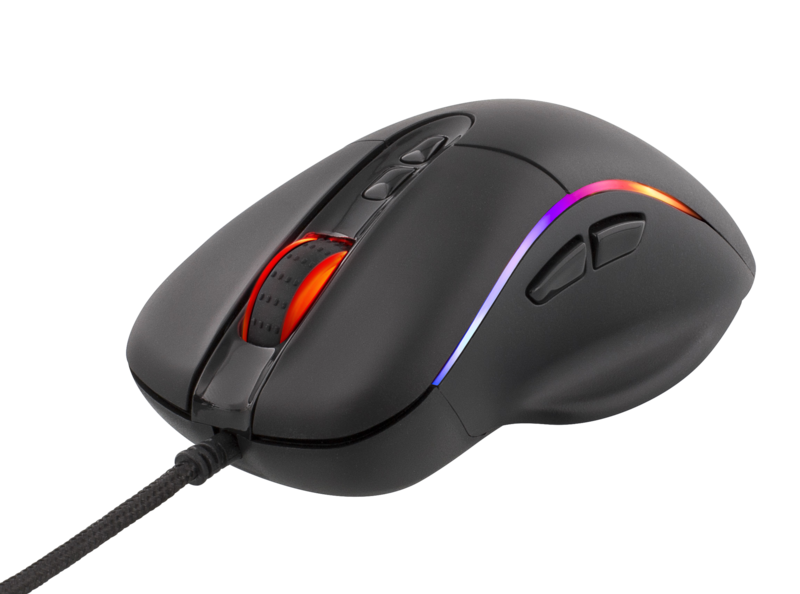 Equipped with an Avago ADNS-3050 sensor, Huano type switches and RGB lightning this gaming mouse will take your gaming to a whole new level. On the left and right side of the mouse you have two panels that can light up in 8 running RGB modes, 2 static colour modes or a responsive click mode. The side panels of this mouse is replacable with included panels that have "wings" underneath for that extra support for your thumb and ring finger. The scroll wheel and the DELTACO GAMING logo shifts colours depending on DPI setting. To shift the lighting modes of the side panels just hold down the scroll wheel and click on the forward button on the left side of the mouse. Package contents: DELTACO GAMING RGB Optical gaming mouse and extra side panels.